A perfect zero powder brush. 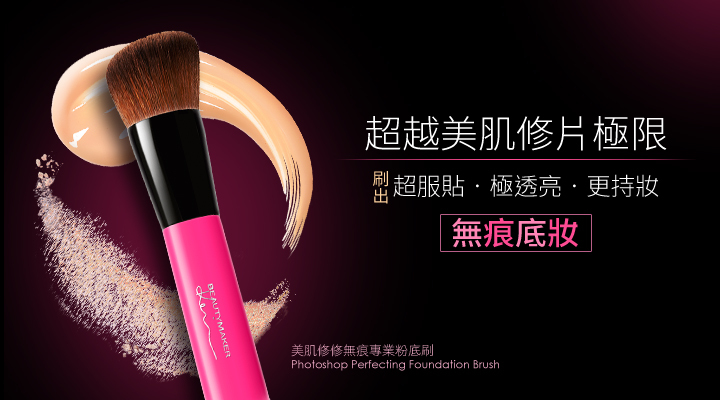 Applicable on both wet or dry foundation, helps to fill the fine lines and pores. Dab moderate amount of foundation/ bb cream/ cc cream / powder onto face. Apply by drawing circles from inside out to blend for a flawless finish with high quality texture. Previously, I used horse hair brush. After applying foundation, product can be seen left in the horse hair brush. Brush has to washed/rinsed several times to remove the residue. BeautyMaker brush is soft and it won't hurt when used around the eyes area. It helps to spread the product evenly on the face. The best part is that product will not be left in the bristles. 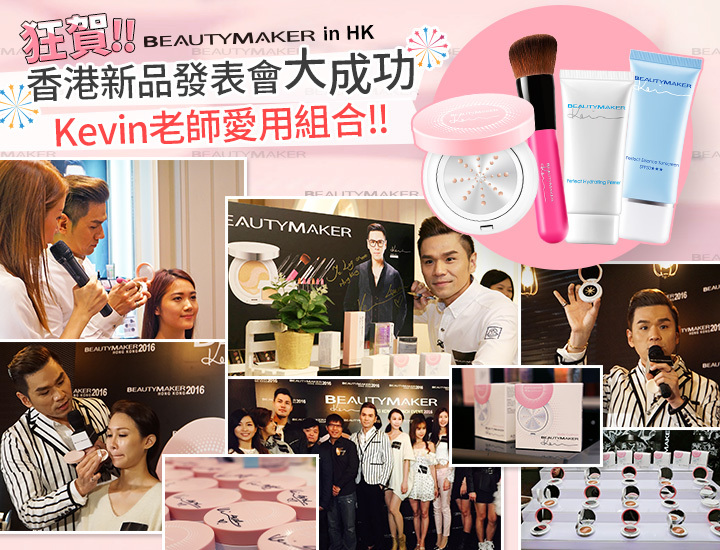 Now I will only use BeautyMaker brush for my makeup need. 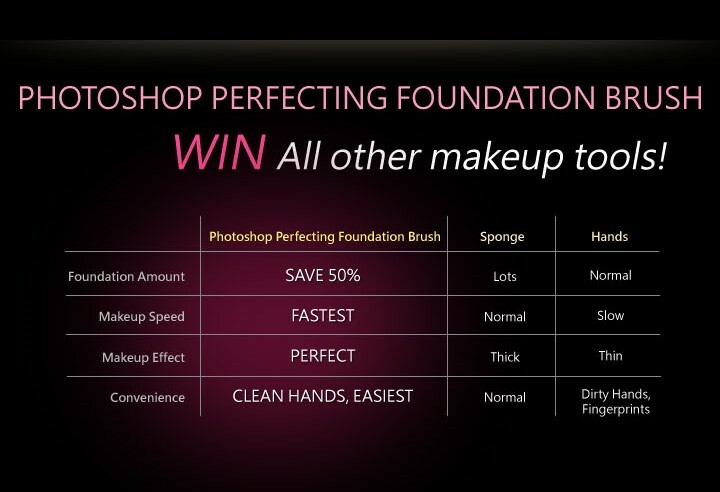 This brush can be compared to higher-end brushes such as Sigma, urban decay, etc. It gives an even application of liquid foundation with no brush streaks due to the densely packed bristles. The brush feels soft and skin feels pampered when using it. This is my second purchase of the Kevin's brush. I'm so impressed with my first purchase because it performs so much better than those reputable and expensive brands like MAC, Sigma, Morphe, Zoeva, urban decay, real techniques etc...I can attest to how good this foundation brush is because it is compact yet soft and is able to cover/blur out my big pores and ice-picks scars very very well, giving me an even coverage and almost flawless look! 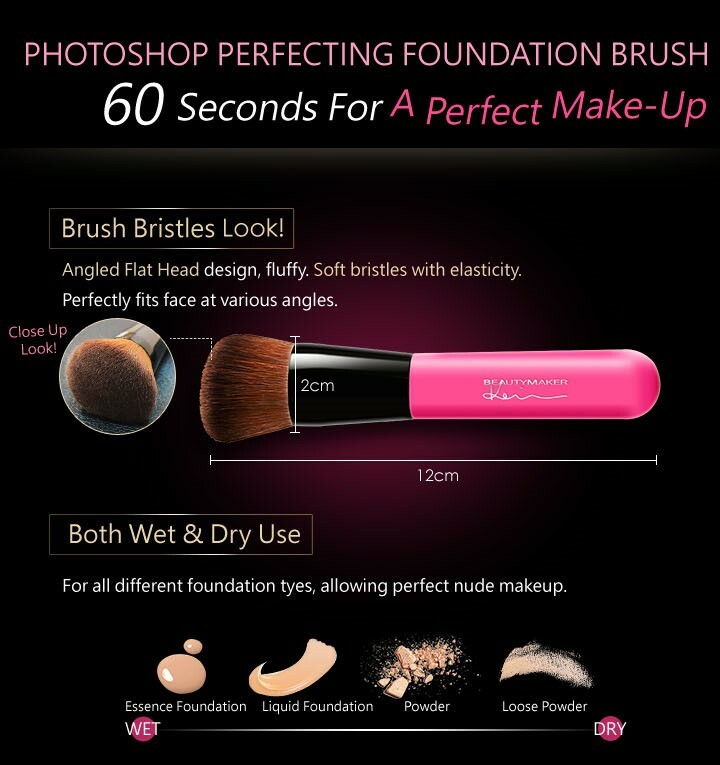 It leaves no streaks and there's no waste of foundation product left on the brush after use. Amazing! To think that all those expensive but useless brushes I bought did not do much for my foundation application. At first I blame it on the foundation or cushion that I'm using and keep buying a wide variety of foundations/cushion. The search is always on for the ideal foundation for best coverage and texture. Now that I own this Kevin's brush, all my current foundations/cushions work beautifully with it to give me the look and coverage I have always wanted. Thank you so much Teacher Kevin for creating this brush. I bought this second one to stock up as it's my holy grail foundation brush now. Luv this brush so much that I ordered again to be my spare one. it's soft to the skin n blends makeup well, too! !